All Indians love booking their movie and event tickets from FastTicket, but did you know there's a simple way to make savings on these purchases? Here at DealSunny we maintain a list of all the latest FastTicket coupons, which include everything from offers to Buy One Get One Free deals. What's more is we keep everything on one simple page, so you never have to waste time searching the web for an offer that actually works. All you have to do is browse through the list and when you see a discount or deal that you like, click the link and the full terms and details on how to redeem it will be revealed. Fast Ticket always has great prices, but you can save even more when you visit DealSunny first! FastTicket is a leading provider of cinema, theatre, travel and event tickets, based out of Gujarat and Mumbai, India. The privately held company also allows customers to find the best mobile recharge offers and utility plans. 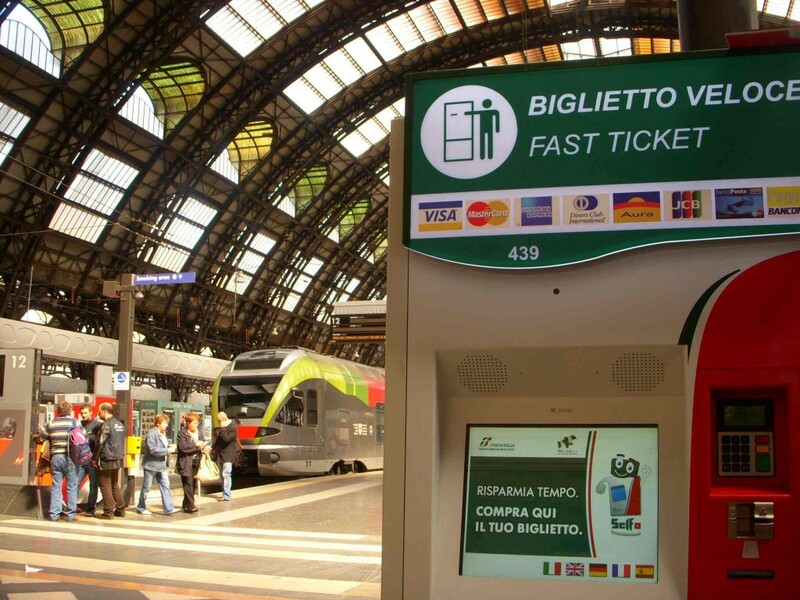 You can access the service using their mobile app for Android, iOS and Windows Phone, or by going directly to the website at FastTicket.in. Not only is the website known for its great pricing, they are also popular because of the range of discounts and deals available as well. These are commonly redeemed with special FastTicket coupons, which can be applied during the online checkout process. DealSunny maintains the most up to date list of these on the web, so remember to browse back here before placing you order to ensure you make the most savings possible! 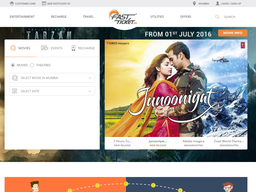 FastTicket was founded in 2009 as one of the many ventures of Sujav Business Pvt Ltd. "Fastticket.in is an uninterrupted and smooth Entertainment services booking portal followed by recharges, utility bill payments and travel solutions. We ensure that the services provided by us are pristine and effortless," reads their about page. FastTicket provides access to a broad range of entertainment tickets, travel bookings, mobile recharge and utilities, from one easy to use site and app. If you are looking to save money in any of these areas then FastTicket can certainly help. You can also make even deeper savings by redeeming a FastTicket promo code. The one you choose will depend on what you want to purchase, how much you are spending, and the type of deal that suits you. For example some discounts may be applicable site-wide, while others might offer deeper savings for specific items only - such as cinema tickets. Specific offers are always changing, so be sure to check back to DealSunny before placing an order and if you see something you like, it's a good idea to redeem it as fast as possible. Types of entertainment tickets available include cinema (western and Hindi movies), theatre, theme parks, water parks, tours, dining, music, and much more. To help you make up your mind what movie to see, they also have all the latest trailers to watch directly on the site. Travel bookings include flights, hotels, buses, and full blown holiday packages. Top destinations include Surat, Pune, Mumbai, Shirdi, Bangalore, Ahmedabad, Bhuj, Goa, Rajkot, Hyderabad, Mankuva, Bharuch, Udaipur, Bhilwara, and others. Recharge is available for regular Prepaid and Postpaid plans, with Vodafone, Idea, BSNL, Airtel, Reliance, Tata, Virgin, Videocon, Aircel, Telenor, MTS, and Loop. DTH recharge is also available with Tata Sky, Sun Direct, Reliance Digital, Airtel Digital, Dish TV, and Videocon DTH. Under Utilities there is currently only one service, Gujarat Gas Bill, but they say this will be expanded upon soon. They also have a dedicated page for offers, where you can find a FastTicket coupon code or other deals. Free Tickets: One of their most common offers is the standard "Buy X Get One Free." This is popular for entertainment tickets, such as the cinema of theatre. To redeem one of these offers simply buy the number and type of tickets required, and the deal will be automatically added to your basket. FastTicket Coupons: You can find an up to date list of these special codes right here at DealSunny. All you have to do is enter the code in to the designated box at FastTicket.in to redeem various deals and discounts. Note, you can only use one coupon per order, but they can sometimes be combined with non-coupon offers for even deeper savings. Credit Card Offer: These offers are made available through a partnership with your credit card provider. For example if you hold a Mastercard from Axis Bank, they often allow you to get a free ticket by using the card to make the purchase. App Exclusive: From time to time the mobile app has its own exclusive deals, so if you have an iOS, Android or Windows device, there's no reason not to download the app and check what's available. FastTicket Offer For New User: If it is your first time using FastTicket and you register an account, you may be given an exclusive offer. Although we maintain one of the most up to date pages of FastTicket offers on the web, it is still a good idea to sign up to their email newsletter to find a few exclusive deals. It's also worth following them on social media. They are active on Facebook, Twitter, Google Plus, Instagram, and Youtube. In order to make sure everybody has the chance to easily use FastTicket, they have implemented many different payment options. The fastest and simplest method is to use a commonly issued Indian credit, debit or cash card via their secure payment gateway. This includes Visa, Visa Debit, Mastercard, Maestro, American Express, Diners Club, and many others. They also have a wallet feature that allows you to deposit funds in advance and then quickly use them at a later date to make payment. Net Banking is also available via most major Indian banks. This allows you to use funds directly from your bank account. Because most tickets and plans are delivered digitally, Cash On Delivery is not an available option. Before you choose your payment option during checkout you should see a special promotions box. This is where you can enter a FastTicket promo code to redeem its corresponding offer. If entered correctly you will see a confirmation message and your order will be updated according to the terms. For example if you use a discount code, you total order cost will automatically decrease. Note, you can only use one coupon code per order, so make sure you choose the one that will make you the most savings. Whether you're purchasing entertainment tickets, recharge, making travel bookings, or signing up for utilities, everything at FastTicket is finalized online, so nothing is physically delivered to you. Instead you will get booking confirmations, receipts and digital tickets sent to you via email or accessible from within your online account. In some cases the third party provider may email these to you, setup an account for you on their site, or post tickets to you. But this is not the responsibility of FastTicket themselves. Using FastTicket couldn't be easier. You have two main options, go directly to FastTicket.in or download the mobile app for Android device from Google Play, iOS devices from the Apple App store, or Windows Phone devices from Microsoft. Whichever method you use, you will be presented with easily browseable categories covering Entertainment Tickets, Recharge, Travel, and Utilities. There is also a search bar if you have a good idea of what you're looking for. In the Entertainment section you can see the times and locations of movie showings,dates of events and other pertinent information. Choose one than suits you and you can add it to your cart. For Recharge you simply have to enter your 10 digit prepaid or postpaid number, the operator you want to use and the amount of charge to purchase. Travel products require you to enter to and from locations, number of people going, and the dates. All products come with user ratings to help you make an informed decision. Once you have made up your mind you can go to checkout, where you can enter any FastTicket coupons. Then you will need to choose your payment method. There is no universal refund policy at FastTicket, as each ticket provider has their own policy. However in general as long as it is prior to the day of the event and the ticket is not used, you can request a refund. Recharge however is non-refundable. If shows or events are cancelled you will be issued a refund automatically, usually within 7 working days. Obviously if you have used any FastTicket coupons to get a further discount, you will only be refunded the actual amount charged after the code was applied.